The following are some of our favorite interviews with other travelers featured here on Wand’rly. From traveling homesteaders to bands to families in Airstreams, the road welcomes all types. Heather & Ramsey, along with their two rescue dogs, live and travel out of their SUV on around $6000 per year. What traveling North America has been like for this lesbian couple living out of a roof top tent on their 97 Landcruiser. A couple from Tennessee sets off on an adventure south in their Four Wheel Truck Camper + Ford E-250. A family traveling the world, having visited 20 countries, lived in six, and all with a young son in tow. 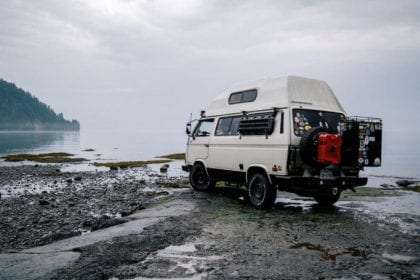 The exploits of a Canadian family who shipped their Vanagon Stormie to Europe to travel, find themselves and live a closer life. Various ways traveler’s make a living outside of the world wide web. Meet Megan. Megan met Mike. The bucket list goes on! Carl and Carly met on a boat, so that their life would lead full circle to a life lived on the ocean-with their three kids-was perhaps simply fate. 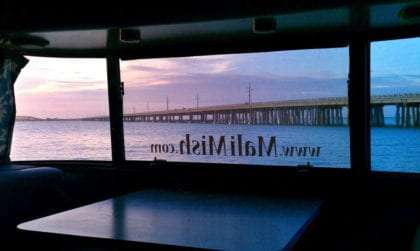 Jessica and Robert, along with their two children, two cats and dog, travel the Southeastern US in their travel trailer as Robert works as an airline dispatcher. This family of three has traveled from Alaska to Argentina, coast to coast in the US, and who knows where to next! 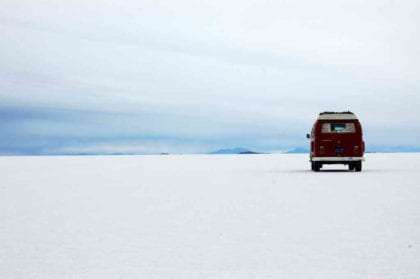 James and Rachel found a Volkswagen Bus, and in turn found an entirely new way of existing. Jorge and Jessica lost a business, began a new life afterwards, gave it all up and took their remote income on the road to explore the forests and cities of North America. A couple meets online and ends up moving into, along with their dog, a small camper. There’s no one to manage and no politics – one couple leaving behind success for happiness. 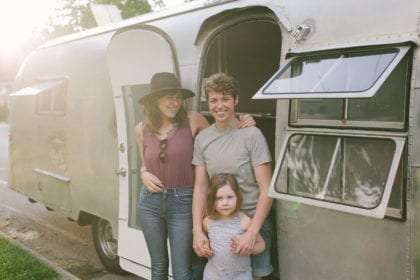 Kate and Ellen raise their daughter while renovating an Airstream, ditching the ZIP code life and setting out to travel full-time. 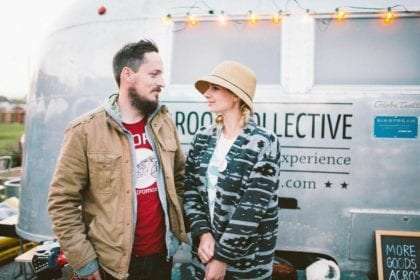 A young couple living and working out of their mobile Airstream boutique / thrift store. 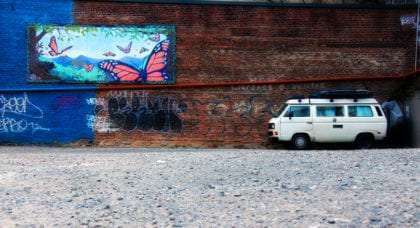 Living in a 1987 Vanagon, Interview with Where’s My Office Now? Corey and Emily travel the country in their Vanagon, Boscha, inspiring all travelers to create community through our shared passions. Meet Thomas and Anna, their two daughters conceived and reared as they travel the world. Our best interview yet, and it was easy; this family is as genuine as leather and as beautiful as silk. 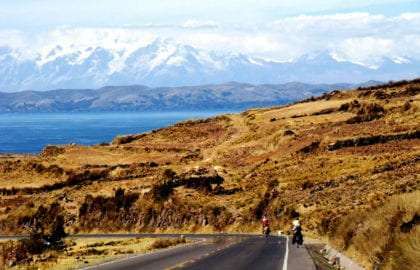 Extensive, in-depth interviews with a family who rode bicycles from the top of Alaska to the tip of Argentina and a man who is currently riding solo around the world. 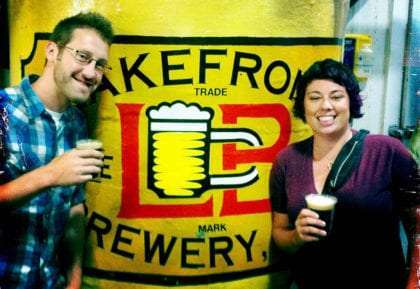 Follow along with a young couple as they make their way around the USA in an RV in search of the greatest local breweries this nation has to offer. The tale of four different Airstreams and their occupants. Traveling the nation, living in style and making the most of life. 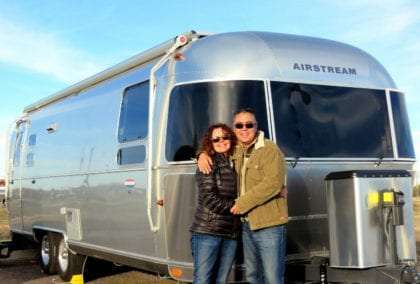 An interview with a family of five who travels the United States in their Airstream travel trailer. James was born in the English countryside and began trekking Africa at age 3. Tatiana got her Phd somewhere between Hawaii and Berlin. 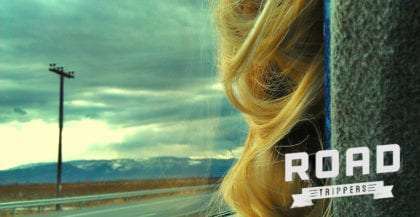 They have created one amazing website with one goal: roadtripping. 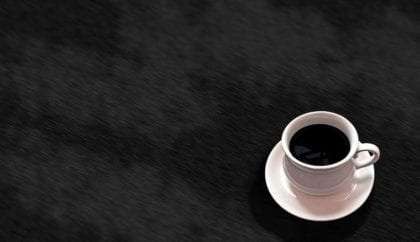 The story of minimalists, those who choose to live with less in order to find happiness, time and fulfillment in their own lives. Includes interviews with Joshua Fields Millburn, Colin Wright, Nina Yau and more. 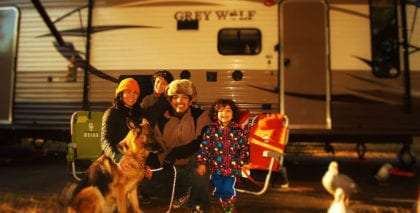 The story of a family who broke the mold, sold their stuff, bought an RV and hit the road full-time, teaching their kids the meaning of life all along the way. 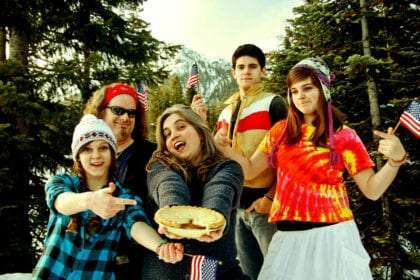 An interview with traveling bands Hymn for Her and Shovels & Rope, plus more. 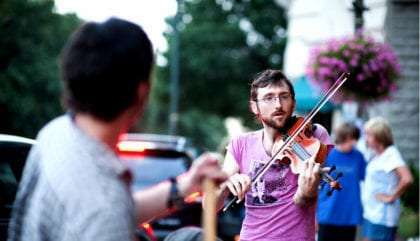 Discovering the magic behind street musicians.